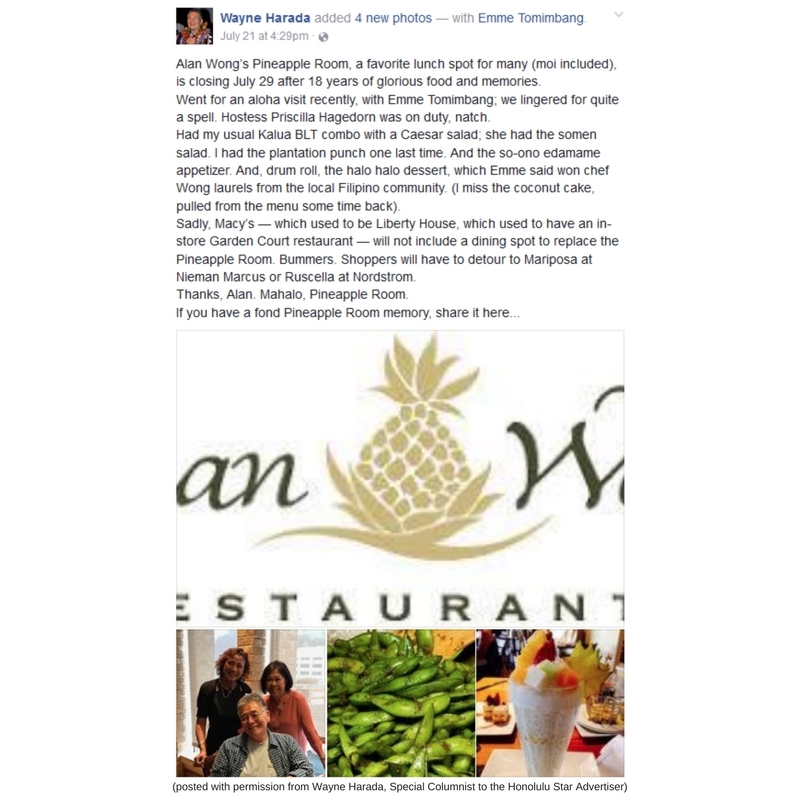 July has been bittersweet for all of us at Alan Wong’s Restaurants since we announced that we would be closing The Pineapple Room. 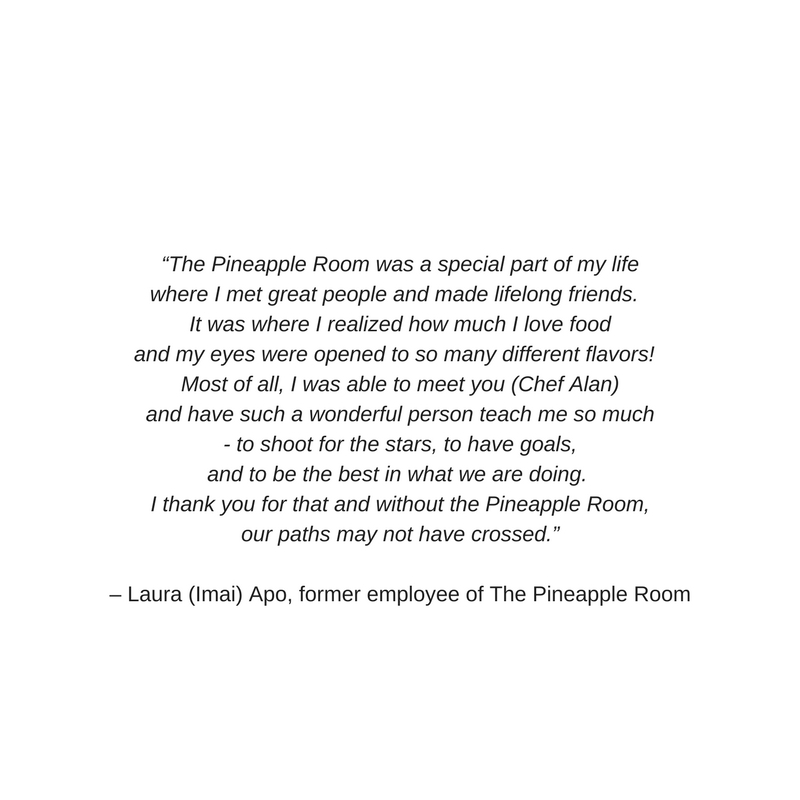 This past Saturday, July 22, marked the last day of service after 18 years, and in this last month, we have been humbled and overwhelmed by the outpouring of aloha from our community. 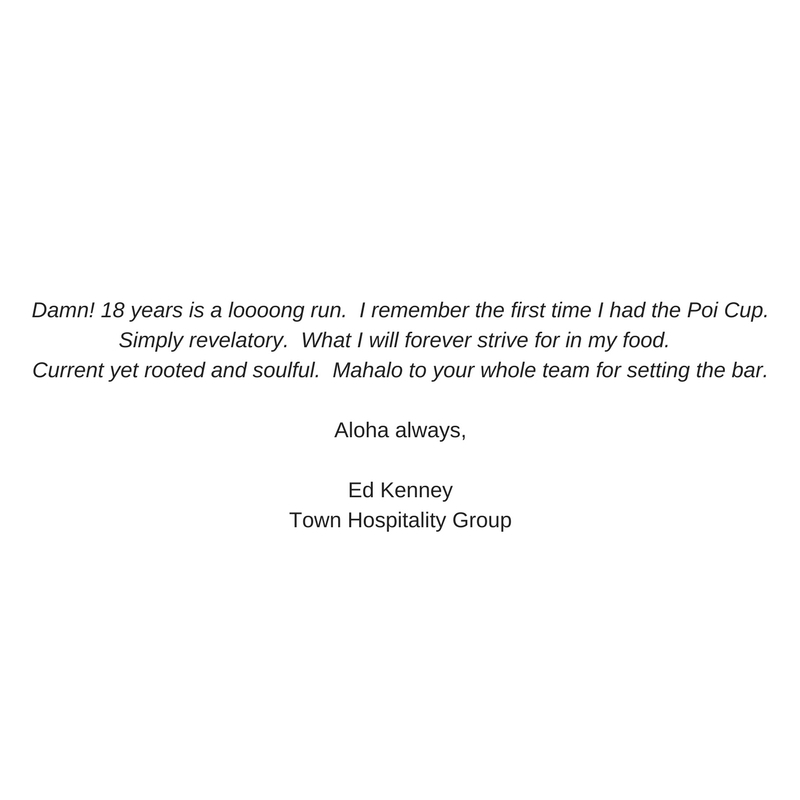 We would like to say mahalo to everyone that came by for a last meal, sent a heartfelt letter, and posted a kind message on social media. 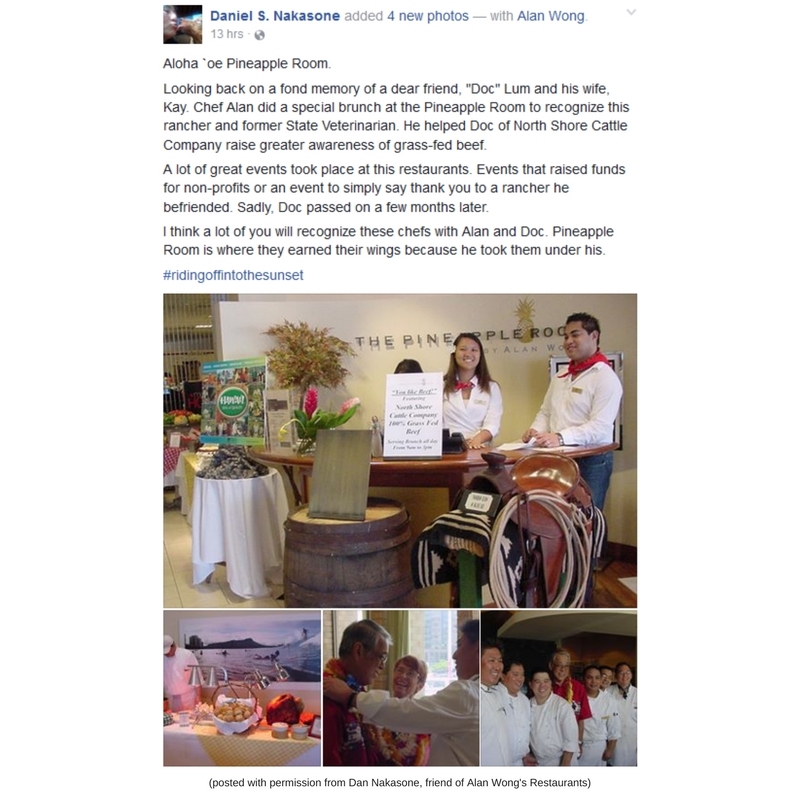 We did not expect such a response, and we are so touched by everyone’s gestures. As we move forward into this next phase of our journey, we hope that you will all remain a part of our ‘ohana. We look forward to what the future has in store for us.